Fort Lauderdale is home to some of the best sportfishing in the world and RentalBoats.com is your key to unlocking world-famous offshore bluewater angling. From Sailfish, Monster Tuna, Sharks, Wahoo, Mahi Mahi, Kingfish, Barracuda and many more species, RenatlBoats.com will ensure a great time on the water with your family and friends. Since we fish Fort Lauderdale all day-every day, we know where the fish are and what they are biting. We specialize in big fish and we catch a lot of them. We have 4 large luxury sportfishing boats which can carry up to 6 people in comfort and safety as you seek the catch of a lifetime. 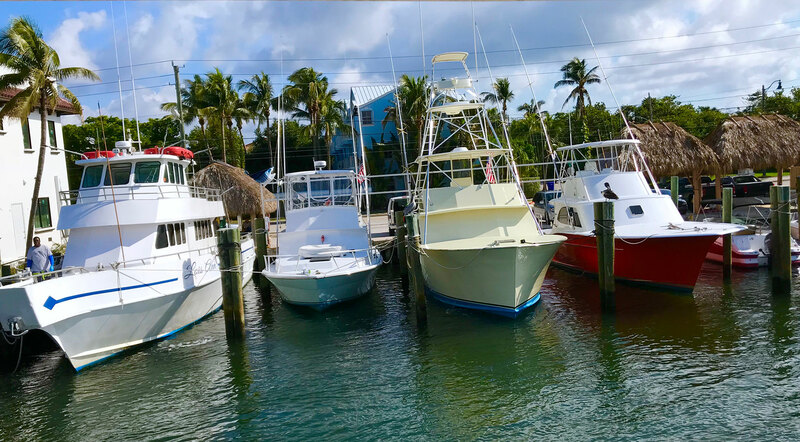 Our custom sportfishing boats feature the top of the line electronics, fishing gear and come with a captain and mate at all times. Our boats also have a full cabin with bathroom and A/C. We include absolutely everything (and NO FUEL SURCHARGES-it’s included too!). All you need to bring is food and drinks. All Charters include the cost for ice, live bait and feature top-quality rods, reels and tackle. There is NO fuel surcharge – we find the fish no matter what it takes. Ask about our Lady Angler and Junior Angler Specials! Contact me for details. RentalBoats.com also specializes in Multi-Party, Corporate and Tournament Trips. Please contact us for details and pricing. We proudly support our active military and veterans. Please contact us for Service Members pricing. Ask us about RentalBoat.com Sportfishing Gift Certificates – the Gift that can be enjoyed for a lifetime.